After you will set your foot in the capital city of India, Delhi, you will meet IHPL representative who will help you with an assisted transfer to your pre-booked hotel. The day is free so that you can indulge in the activities such as exploring the surrounding on foot, relishing the street food, shopping at the famous markets. Stay overnight. The second day is for sightseeing in Delhi. 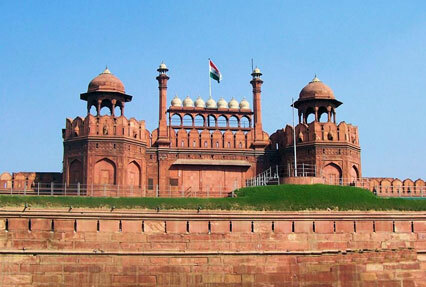 You are going to explore the popular attractions of Old and New Delhi. The list of attractions includes monuments such as Chandni Chowk, Qutub Minar, Humanyun’s Tomb, Red Fort, Jama Masjid, Raj Ghat, Lotus temple and others. Stay overnight in Delhi. Have your breakfast and get an assisted transfer to the airport to board a flight to Bagdogra. 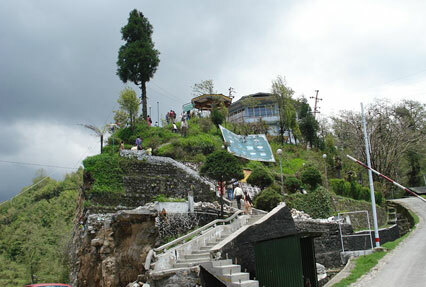 As you reach the Bagdogra airport, you hit the road to go to Darjeeling, a beautiful hill town. On arrival, check-into your pre-booked hotel. The day is free for leisure activities to roam around. Interact with the locals; visit the nearby locations etc. Overnight stay. Get-up early on day 4 and take a 30-minutes drive upward to the Tiger Hill, enjoy the mesmerizing sun rise from here while enjoying a beautiful view from the Kanchenjunga (8,548 meters) along with the other eastern Himalayan peaks. While returning, do not miss visiting the Ghoom monastery. Later in the day, explore the other attractions like Peace Pagoda, Batasia Loop. Stay overnight. Once you have your breakfast, leave by road for Pemayangtse, situated at an altitude of 2,045 meters (around 6 - 7 Hrs). The whole drive is going to be a beautiful one where you will be passing by lush tea gardens and picturesque landscapes. On arrival, check into your hotel. Have your lunch. Later, leave for exploring the Pemayangtse monastery. 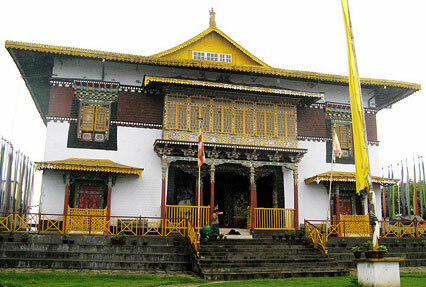 This monastery is the oldest in Sikkim and also the most famous in the western part. This monastery was built in 1705. Overnight stay. On day 6 have your breakfast, you are going to begin driving towards Martham, located at an altitude of 1,800 meters (around 4 Hours). On arrival, check-into the village resort to enjoy a unique experience. This resort, set-up in mesmerizing and relaxing lush surroundings, has traditional thatched cottages. You can indulge in the activity of your interest like trekking, nature walk, guided tour, visit to the nearby tea gardens or monasteries, adventure activities and more. Meals and overnight stay. Post breakfast; begin driving towards Gangtok, at an altitude of 1,600m (6 Hours). The drive will be an interesting one through the winding roads and passing by orange orchards and cardamom plantations. Once you reach, complete the check-in formalities at your hotel. The day is free for leisure activities. Overnight stay. On the eighth day of your tour, get up early to view the mesmerizing sun rise from Tashi Viewpoint that is around 16 kms from the main town. Back to the hotel for breakfast. Later leave for sightseeing that will Rumtek Monastery, spend the day here. This Tibetan Buddhist monastery is a well-known one. It was erected during the 16th century by the 9th Karmapa Wangchuk Dorje. This monastery plays host to several Tibetan festivals and contains a Golden Stupa covering the remnants of the 16th Karmapa. Back to Gangtok for an overnight stay. Post breakfast, begin driving towards Kalimpong- 1,250m meters (3 Hrs). Enjoy this amazing drive while admiring the surrounding beauty. On arrival, check into your hotel. 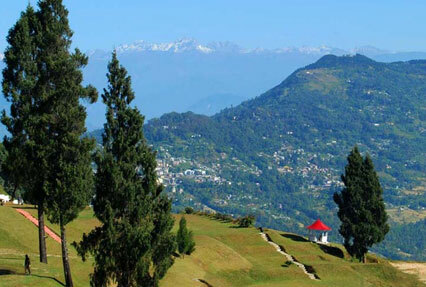 Leave for sightseeing later where you may cover attractions like Deolo hills, Kalimpong cactus Nursery, Zong Dhog Palri Fo Brang Monastery etc. Also treat your eyes to the surrounding natural beauty. Stay overnight. Once you have your breakfast and begin your road journey towards Phuentsholing (5-hour Drive). This town is situated on the southern border Of Bhutan. Once you reach, check-in at your hotel. The day is free for leisure activities such as interacting with the locals, admiring the surrounding green scenery, visit the popular attractions like Karbandi Monastery, Amo Chuu -the Crocodile Breeding Centre etc. Meals and overnight stay in the hotel. Post breakfast on the 11th day; begin driving towards Thimphu, the capital as well as the largest town of Bhutan. After arriving, check-in at your pre-booked hotel. Later, in the afternoon enjoy sightseeing in the Thimphu Valley which is going to include Tashichho Dzong, the traditional seat of the civil government of Bhutan. Stay overnight. In the morning after breakfast, you will visit the remaining attractions such as the National Library that house a collection of ancient Buddhist Manuscripts, the popular Painting School; Traditional Medicine Institute where hundred- year old healing arts are still followed. Later in the day, begin your drive to Punakha. Once you reach there, complete the check-in formalities at your hotel. The day is at your own discretion now to explore the surroundings. Stay overnight. 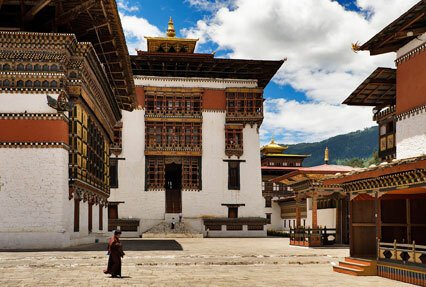 Today, you are going to drive To Paro, a historic town of Bhutan. On arrival, get transferred to your pre-booked hotel. This beautiful valley has serene and calm villages and paddy fields. Leave for exploring the surroundings where you may cover attractions such as Taktsang Monastery, National Museum, Kichu Lhakang etc. Stay overnight. Today, get an on- time transfer to international airport to Board a flight for your onward journey.